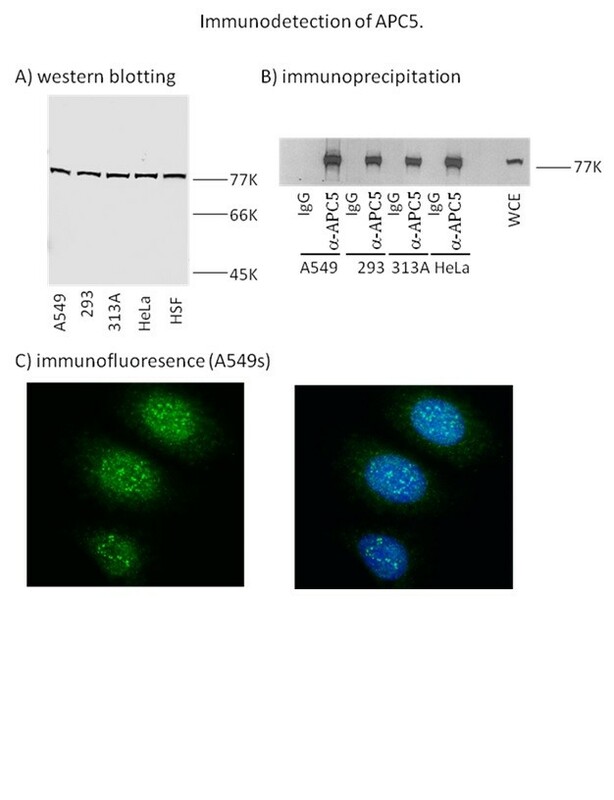 Relevance APC5 is a component of the anaphase-promoting complex/cyclosome (APC) that regulates cell cycle progression through mitosis and G1. APC5 is located in the nucleus during interphase and at the centrosome during metaphase/anaphase. The APC is inactivated by protein kinase A and is activated by CDC20 and Cdh1. Turnell et al. 2005. Nature. 438(7068):690-5. PMID: 16319895. The APC/C and CBP/p300 cooperate to regulate transcription and cell-cycle progression.